What does Goldie, the don of drum and bass, have to offer nearly two decades after he set up the iconic Metalheadz label and made the mainstream sit up and take notice of the sound with the release of the classic album Timeless? As it turns out, much of the same, but we wouldn’t really have it any other way. The music is still atmospheric and futuristic with driving hard beats and the trademark growling bass that, on the Sacred Spirits sound system puts your teeth on edge. And, hard as it is, it still has a soulful groove. As soon as Goldie’s set at the inaugural Scrunch night at Sacred Spirits kicked off, I was whisked back to the first time I stepped into the dark at the Metalheadz Sunday Sessions at the Blue Note in London back in 1996 and was blown away. There were quite a few, shall we say, veteran, Hiroshima DJs at Sacred Spirits who used to spin drum and bass. Having grown tired of soulless jump up and the heavy rock flecked tunes that have dominated the scene for the past few years, most have moved on to house and garage influenced bass music. It was probably the first drum and bass event most of us had been to in a long while, and it was a nice reminder of what originally drew us to the sound. 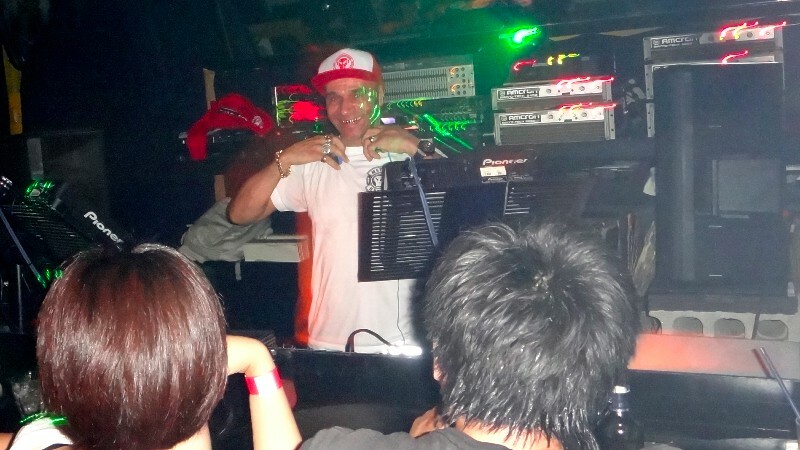 I was worried that some of Goldie’s music might be a little “challenging” for the latest crop of drum and bass fans, but he kept the floor pretty well packed for the whole of his set which was a roller coaster journey of peaks and troughs with a smattering of classics. It was also nice to see the man appear to be enjoying himself on his first time in Hiroshima. Whenever there was a bit of a lull during some of those long orchestral breakdowns, a quick sparkling smile, raise of the hand or a rock star holler served to bring back the atmosphere.